NEW YORK – Sniffling, sore-throated kids seen via telemedicine visits were far more likely to be prescribed antibiotics than those who went to a doctor's office or clinic, according to a new study. 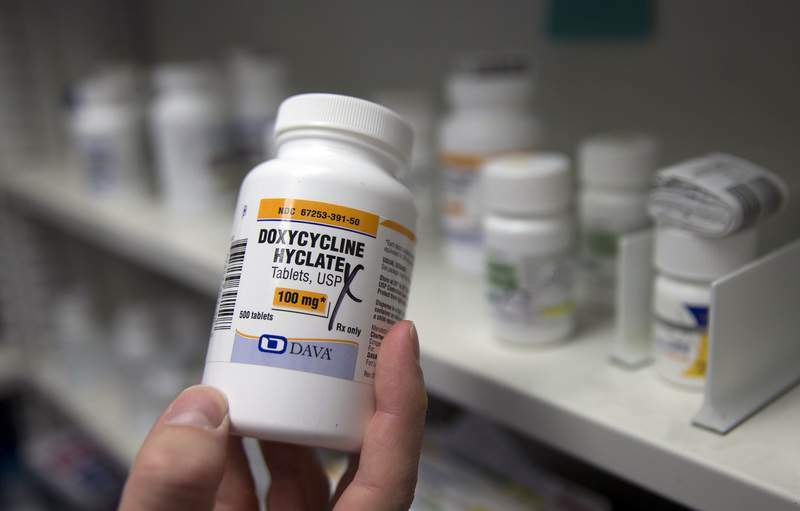 Many of those prescriptions disregarded medical guidelines, raising the risk they could cause side effects or contribute to the rise of antibiotic-resistant germs. "I understand the desire for care that's more convenient and timely," said the study's lead author, Dr. Kristin Ray of the University of Pittsburgh. "But we want to make sure that we don't sacrifice quality or safety or effectiveness in the process." The study was being published Monday in the journal Pediatrics. Ray and her colleagues looked at more than 340,000 insured children who had acute respiratory illness medical visits in 2015 and 2016. Children received prescriptions for antibiotics more than half the time during telemedicine visits, compared with 42% at urgent care clinics and 31% at doctors' offices. While overprescribing can help germs build resistance to antibiotics and mutate into untreatable superbugs, they also can add a needless cost to medical bills and even cause serious side effects, said Tim Landers, an Ohio State University expert on antibiotic-resistant infections. "These are not harmless drugs," Landers said, who was not involved in the study. The researchers also found that in looking at telemedicine doctors' decisions about whether to prescribe or not prescribe antibiotics, 4 out of 10 failed to meet medical guidelines on matching treatment to diagnosis. That mainly had to do with doctors prescribing bacteria-fighting drugs to treat viral illnesses, such as colds and flus, that are unaffected by antibiotics. In comparison, 3 out of 10 urgent care clinic decisions were inappropriate, and about 2 out of 10 doctors' office decisions were. The researchers also found telemedicine physicians appeared to be ignoring other guidelines. For example, doctors are supposed to take a throat swab and run a lab test before diagnosing strep throat. But that rarely happened in telemedicine visits, Ray said. A large recent study on antibiotic prescribing patterns for adults found little difference between telemedicine and office visits. But there has been little study of the issue in children. During telemedicine visits, patients interact with doctors and nurses through video or audio calls. They can be less expensive and easier than trying to get in at a pediatrician's office or hauling kids to an urgent care center. Some doctors and hospital systems use the technology for consultations, but the study focused on direct-to-consumer telemedicine programs that someone can call up without talking to their regular doctor. Only about 1 percent of the sick kids in the study were seen through such visits. The American Academy of Pediatrics, which publishes the journal, encourages parents not to use such direct-to-consumer programs. Academy officials say limited physical examinations and lack of access to patient records can harm care. But telemedicine seems to be catching on, especially among employers who believe it can save money, said Jason Doctor, a University of Southern California health policy and economics researcher. Doctor is examining ways to improve antibiotic prescribing at telehealth firms. It's an important issue, he said, because "telemedicine is going to grow. It's going to become a more routine part of people's medical care."